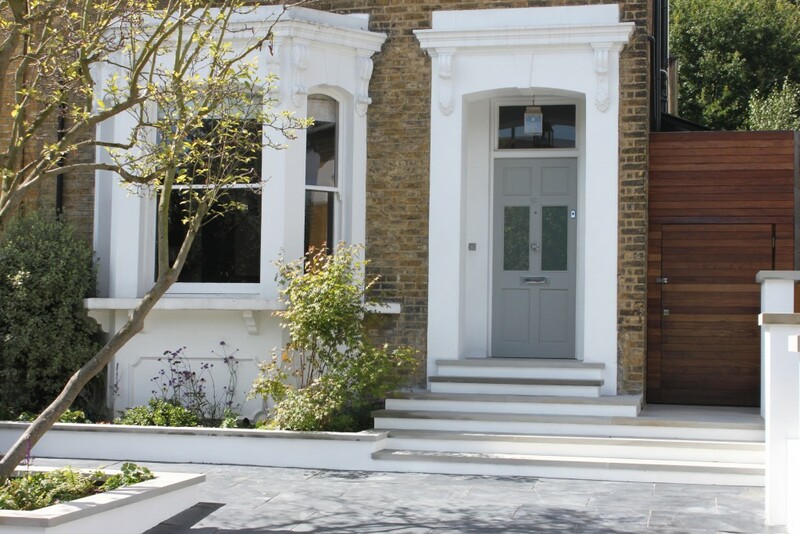 This front Garden Design in East Dulwich se22 is a testament to the quality of our in-house building teams, their attention to detail and precision building.We have been working with the same builders for over 10 years, who have grown with the company and know and understand all the build techniques, specification and finishes that i feel set our standards high. 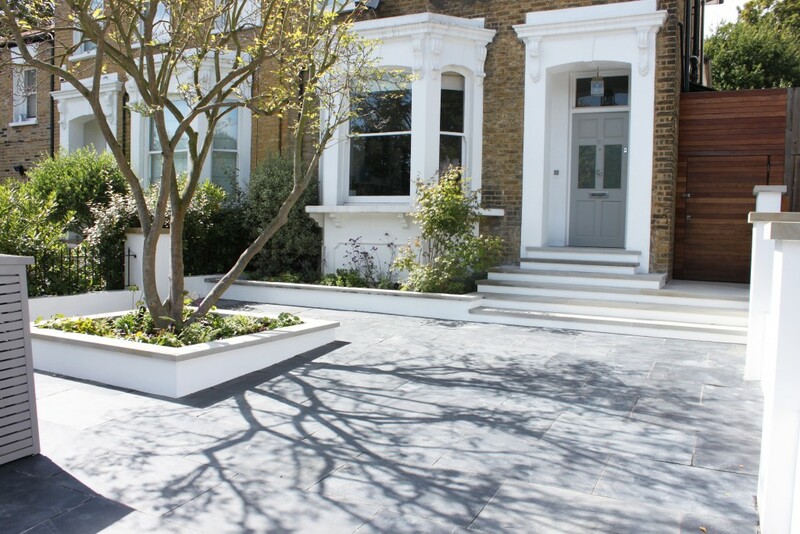 So often building detail and techniques get lost between garden Designer and builder but with good Design and Build and project planning nothing gets lost in translation.The project management and flow of the project is tighter and easier to manage. 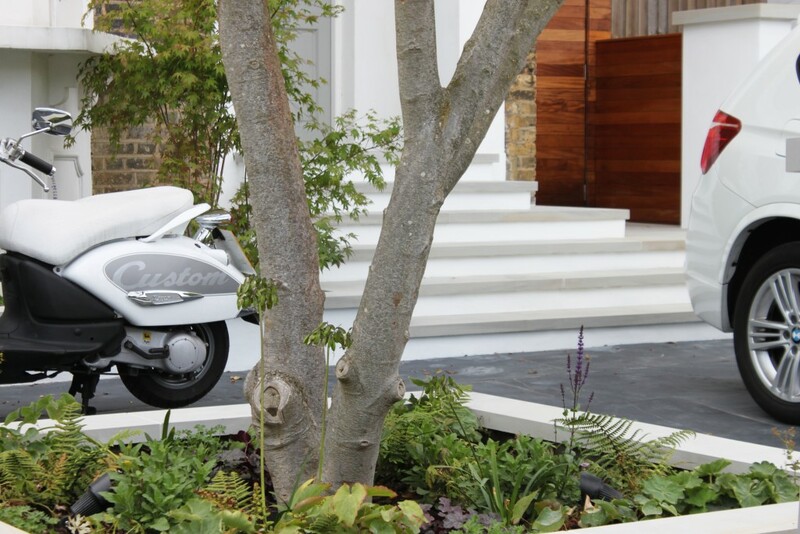 This contemporary garden relies on precession building as we are using high end materials with precision cuts and finishes. 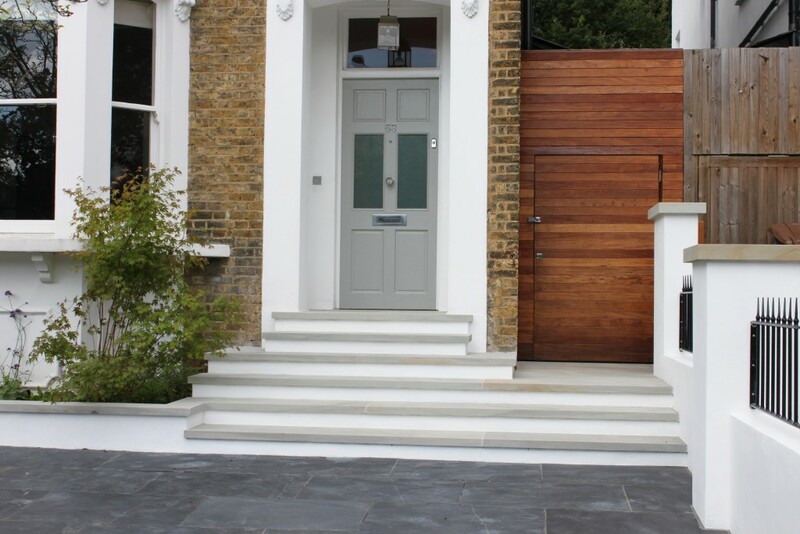 We used sawn Yorsktone for the staircase , wall copings and piers caps. The Sawn York stone was cut to our bespoke sizes . For the staircase we wanted to keep it as clean and elegant as possible with minimal cuts so used as long sections as we could, without harm of breaking. With larger sections of stone setting and laying has to be done first time as lifting to reset can be difficult and crack the stone . 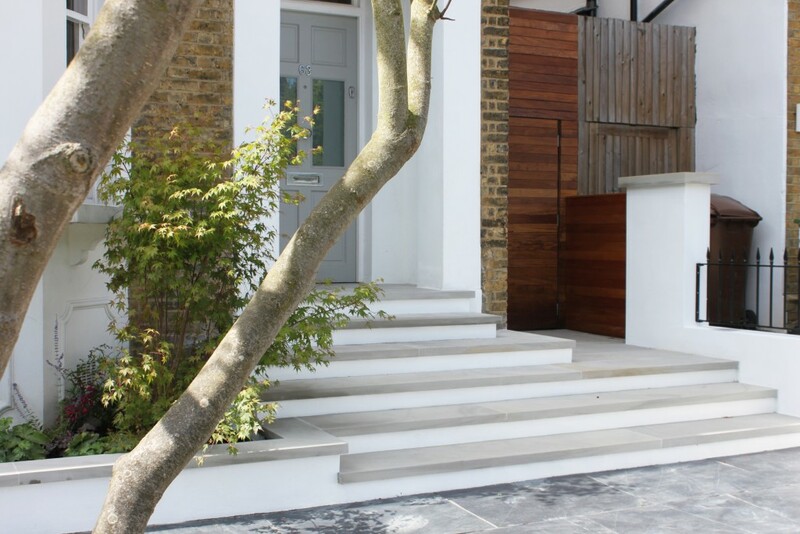 The concrete form work for the staircase needs to be designed and built to a small tolerance ready for the stone .With the understanding of our builders experience and abilities we can design in more complex structures and try things that are fresh and innovative . 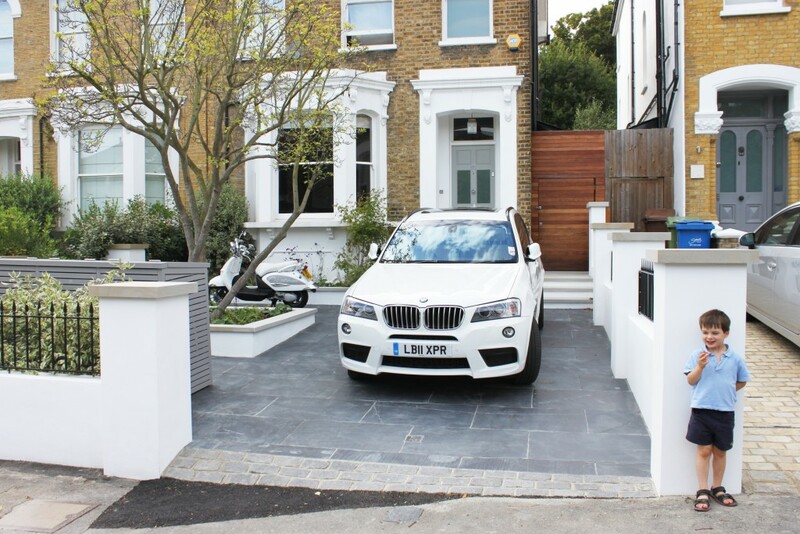 The London Landscaping Company provide a garden Design and build service covering East Dulwich Se22 areas and throughout London for over 14 years. 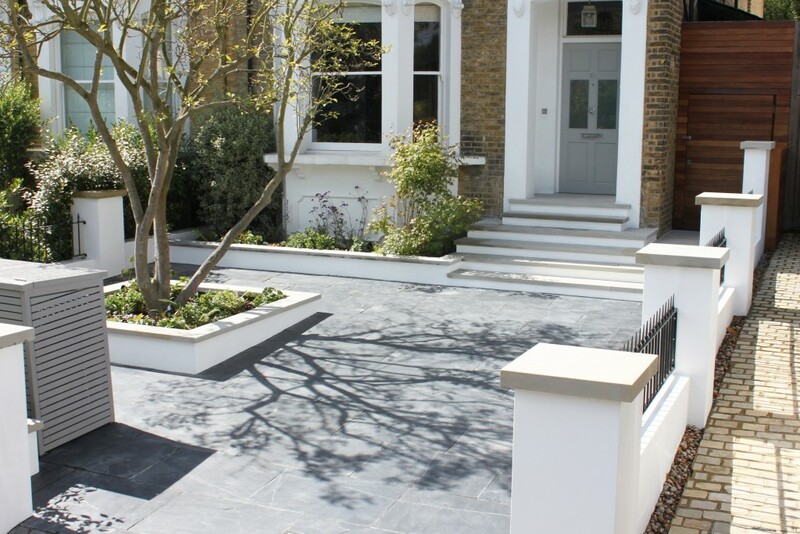 As experienced garden design and landscapers we provide exceptional customer services, high professionalism and competitive prices. So for more information or to arrange a consultation with us please do not hesitate to get in touch with us straight away.Our in-house Design and building team can take you from initial meeting through to Garden design concepts and detailing stages , planting plants and full estimate including materials specification , and on to the build stages to completion .All our projects have a dedicated team of builders and project manager. 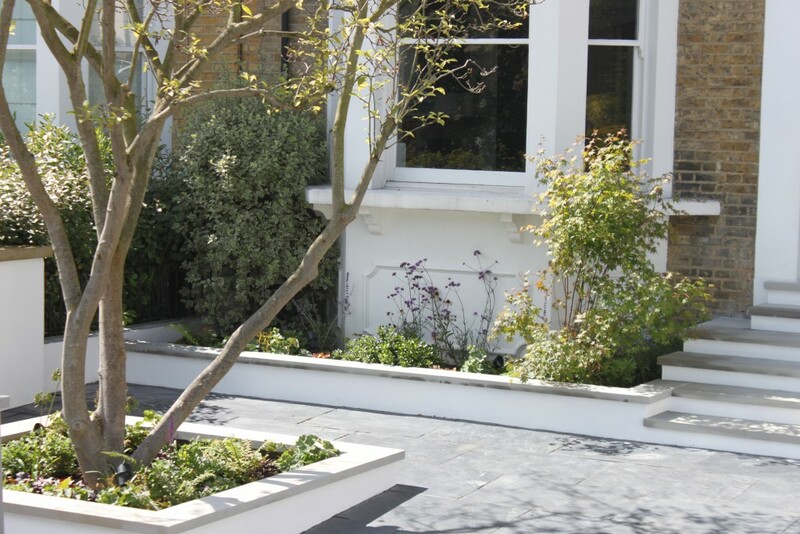 We cater for all types and size of garden design or landscape project, everything from a small roof garden terrace, to full re-landscapes of properties of a larger scale . Please do not hesitate to give us a call to arrange a consultation and we can discuss your requirements further.